Women In Retail Leadership Circle | It’s Your Last Chance Ladies! Girl Talks East is Next Week! It’s Your Last Chance Ladies! Girl Talks East is Next Week! We’re very excited here at the Women in Retail Leadership Circle. The event we’ve been talking about (oftentimes in this very space) for months is about to happen. That’s right, Girl Talks East is finally taking place, next Thursday evening, Oct. 13, in New York City at the Kitano New York! At Girl Talks, women retail executives gather with their peers to hear short, passionate presentations (each lasting 15 minutes, with five minutes for audience questions) delivered by powerful women leaders. Who is on the docket next week, you ask? Mary Beech, executive vice president and chief marketing officer at Kate Spade & Co.; Emily Culp, chief marketing officer, Keds; Rachel Shechtman, Founder and CEO, STORY; and Callie Schweitzer, managing editor, Thrive Global. Can you believe these powerhouse speakers have all agreed to come together and share their knowledge with us? We’re sure you’ll be inspired by their personal stories, as well as gain new insights and ideas on critical topics such as how to lead with empathy, how to create community with content, how to thrive as an entrepreneur, and so much more. For more info on Girl Talks East, click here. We can’t wait to see you next week! P.S. 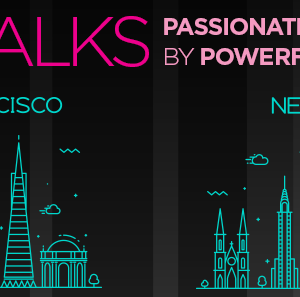 In case you’re bi-coastal, check out Girl Talks West, which is taking place in San Francisco on Oct. 27. More to come about that event later! 5 Brands Looking for Leaders WIRLS Speaker Jules Pieri on Starting The Grommet Callie Schweitzer on Redefining Success at Girl Talks East Hello Inner Circle Readers!